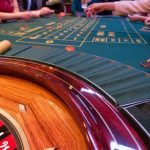 There has been scorching debate all over the world whether online casinos around the world should be legalized, especially in the United States. 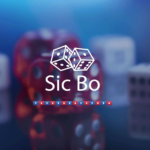 Kentucky has shown unfettered efforts to sequester overseas domains that are actually owned by online casino companies in order to protect its citizens. However, it may seem that the state is giving obvious biased preference towards horse racing. A report from the Associated Press indicates that the legislators in Kentucky are requesting the regulation of certain firms that will allow the residents of the state to bet on horse racing events on the Internet. The proposal was passed via the Senate State and Local Government Committee without a hitch. Under the provision, it requires the certification from the Advance Deposit House which has already signed the legislation and will push through towards the Senate. Horse racing may be entirely different from online casinos, but it is under the same context. 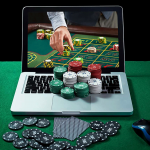 If the state is, in a way, looking for viable profit and revenues, and at the same time seeking the protection of its citizens from problem gambling brought by any online sports betting casino sites then it would be better to have regulations passed as opposed to banning the “category” of Internet gambling while favoring the other. The Associated Press added that the Kentucky lawmakers have tackled the apprehensions made by the supporters of the horse racing enterprise, stating that the State of Kentucky is falling behind other jurisdictions that have generated millions of profits and revenues through other gaming means, which include online casinos and mobile gaming.